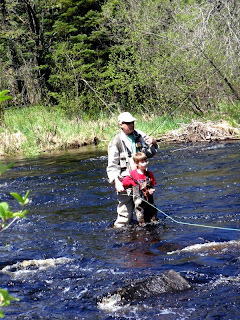 Jonah is learning on a six foot custom glass rod. 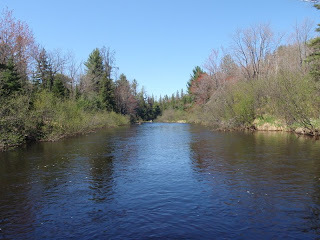 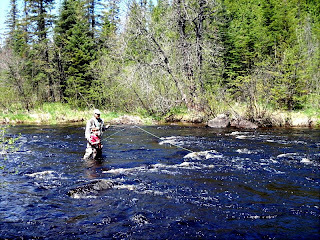 I was fishing down stream and roll casting into the banks. 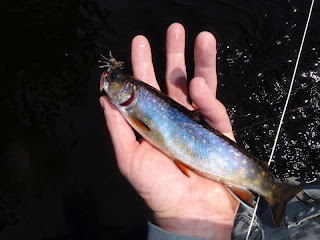 Had half a dozen strikes, and caught two small brookies. 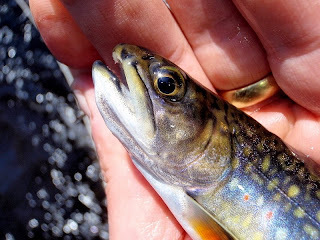 Not being a particularly accomplished (or even competent) fly fisherman, I am always astonished and irrationally exuberant about catching any sized trout on a fly. 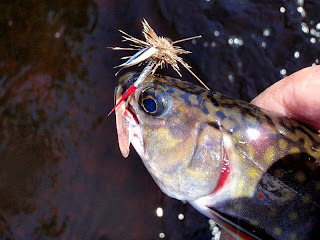 I used an HDW tied fly -The Silver Streak - a cone head white maribou muddler.